Manufacturer of a wide range of products which include fire retardant paint and intumescent paint. 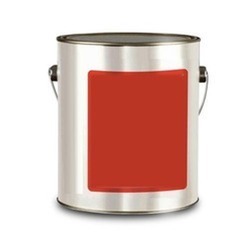 RYOT4 Retardant is Quality tested, highly specialised water based Fire Retardant Paint, confirming to International Standard, especially designed for applying on wide variety of surface used in major industry . 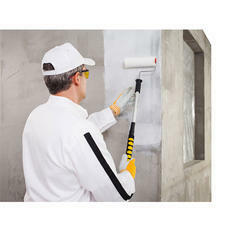 It can be used alone as protective or decorative top coat to provide fire proof surface. areas. The fumes which rise from the burn also serve as act as an extinguisher. When these are applied over, a substrate Fire Retardant Paint forms barrier between the flame and substrate. Even after prolonged exposure to a fire, the firetard coating is not destroyed and continues to protect substrate. These paints are offered in variety of colors and are widely used in different industrial, commercial and domestic. Ryot4 Puff is an Intumescent Paint –retardant paint that not only retards the spread of fire, it also insulate the substrate from intense heat of a fire. On contact with fire or excessive heat the paint puffs up forming a thick , sponge – like cellular foam layer over 50 times thicker than the original paint film. The foam layer insulates the substrate from the heat of the flame, thus retarding flame spread & delaying structural failure. Especially recommended for use on any substrate which must maintain its structural integrity in the event of a fire, eg. Structural steel, load bearing walls, columns, electrical cabins, safe deposit, lift room etc. We are looking for queries from Mumbai / Maharashtra only.